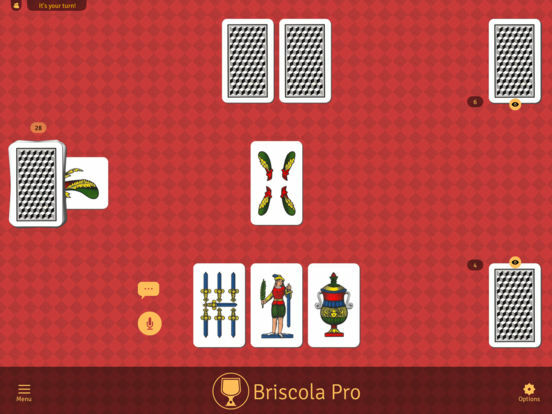 Briscola Pro is the ultimate app for all card game fans with over millions of users worldwide! 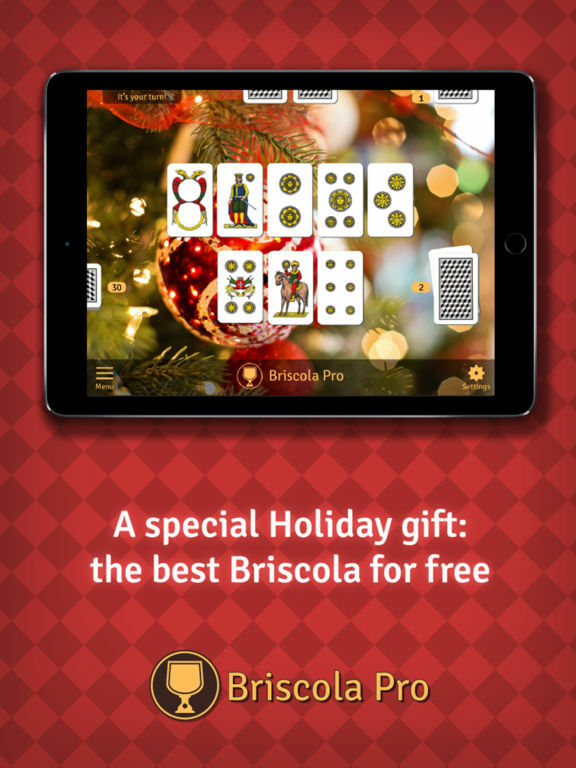 IT'S YOUR TURN: Make the right move, download Briscola Pro now! 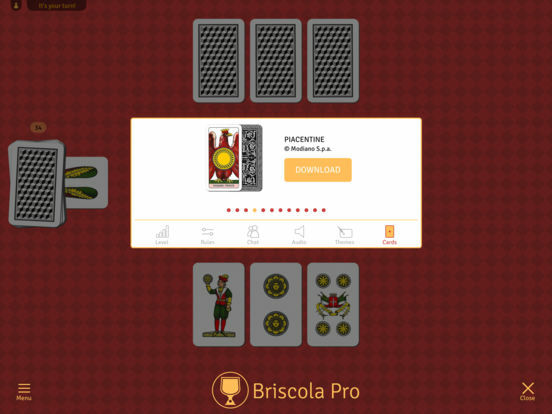 Play online, chat and make friends with real opponents from all over the world, challenge the most advanced AI and climb the world rankings! 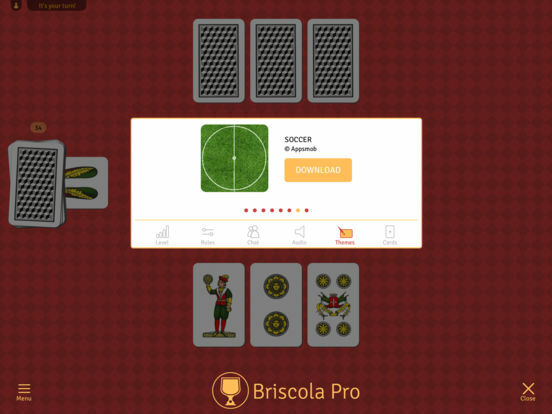 Appsmob is the Mobile Content Company, publisher of multiplatform applications for Smartphone and Tablet. 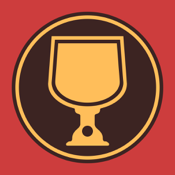 With more than 500.000 Active Users, millions of cumulated downloads and more than 3 millions hours played every month, Appsmob is an international leader in the Mobile Gaming industry. Keep in touch with Appsmob to discover all the exciting new surprises we are preparing for our Users!